Barnes & Noble has announced its first retail partner in the U.K. to carry its line of Nook e-readers: John Lewis. 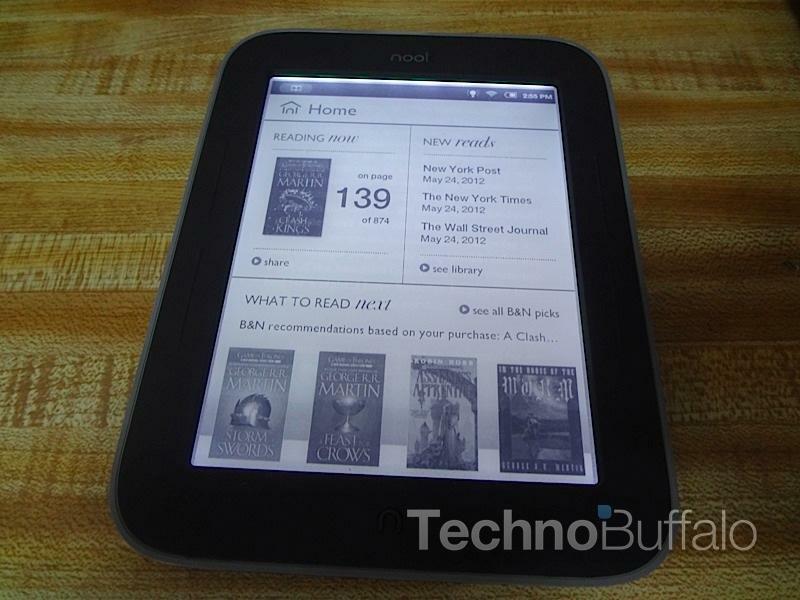 It was announced last week that Barnes & Noble is bringing the Nook e-readers to the U.K., but at the time the only place where it was said the devices would be available was through the company's own site. The bookseller did promise to announce retail availability, but no timeline was given as to when that might happen. Apparently that time is just a little over a week later as the company announced this morning that its first retail partner would be the 37 John Lewis stores across the United Kingdom. "John Lewis is where knowledgeable customers turn for trusted advice on the best products to purchase, and they are a perfect partner to help launch NOOK in the UK," said Jamie Iannone, President of Digital Products at Barnes & Noble. "We look forward to bringing more choice and convenience to discerning UK customers with our critically acclaimed line of reading devices and expansive selection of content." Barnes & Noble promises to announce pricing and further retail partners this autumn. New York, New York – August 28, 2012 –Barnes & Noble, Inc. (NYSE: BKS), the world's largest bookseller and leading retailer of content, digital media and educational products, today announced a partnership with UK retailer John Lewis to bring the company's award-winning NOOK reading experience and leading digital bookstore to its physical stores and online sales channels this autumn. The partnership with John Lewis, a premium department store brand lauded as "the UK's leading electrical retailer," will fortify Barnes & Noble's newly-announced presence in the UK, and will enable UK shoppers to see, touch and experience NOOK devices and digital content. John Lewis is the first company outside the US to partner with Barnes & Noble to offer highly sought-after NOOK devices in each of its 37 UK stores and on www.johnlewis.com, with Barnes & Noble's top-ranked line of E Ink® Readers, NOOK Simple Touch™ and NOOK Simple Touch with GlowLight™, the first products to be available. As previously disclosed, Barnes & Noble will also offer NOOK devices and content to UK customers this autumn through its own online storefront, www.nook.co.uk. "John Lewis is where knowledgeable customers turn for trusted advice on the best products to purchase, and they are a perfect partner to help launch NOOK in the UK," said Jamie Iannone, President of Digital Products at Barnes & Noble. "We look forward to bringing more choice and convenience to discerning UK customers with our critically acclaimed line of reading devices and expansive selection of content." Ed Connolly, director of buying for electricals and home technology at John Lewis, said: "Always first with the latest technology, John Lewis is thrilled to be chosen as the premier UK launch retailer for the NOOK. This award-winning line of eReaders adds greater choice to this expanding category. We think our customers will love NOOK's adaptability thanks to its E Ink display and unique built-in GlowLight, perfect for day or night time reading." Echoing Barnes & Noble's dedicated Digital Shops™ in the US, devices including NOOK Simple Touch and NOOK Simple Touch with GlowLight will be prominently displayed in John Lewis electronics aisles throughout the UK as well as its Web site. The award-winning NOOK Simple Touch – the easiest-to-use Reader with the world's best, most paper-like reading screen – and NOOK Simple Touch with GlowLight, which adds an evenly distributed and adjustable light that's perfect for reading in the dark, are both set to launch in the UK in time for the holiday shopping season. Both lightweight devices feature built-in access via Wi-Fi to Barnes & Noble's digital catalog of more than 2.5 million digital titles – including top-selling UK books, newspapers and magazines – plus comics, exciting NOOK Apps™ and more.